On Saturday I met up with friends in Glasgow for lunch and a coffee. Afterwards we walked through the city centre shops to see if there was anything we wanted to buy. Buchanan Street in Glasgow has shops which sell the world's most expensive brands and is always very busy. 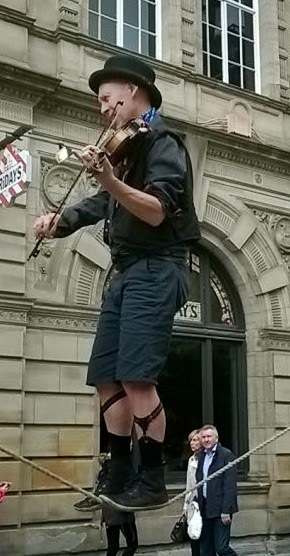 What struck me was the number of street performers and political and religious groups on the street. Below are some of the interesting things I saw. The man above appeared to be standing on air. 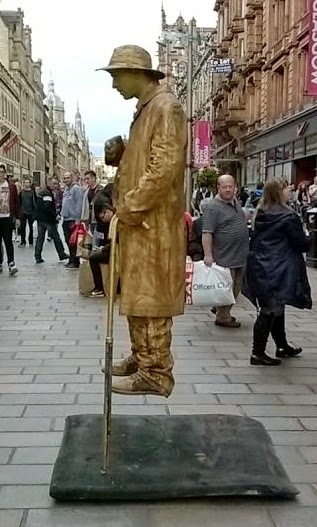 There was another one on Argyle Street which we saw when walking to the station for the train home. The man above was making a lot of noise! Another band near the top of the street. 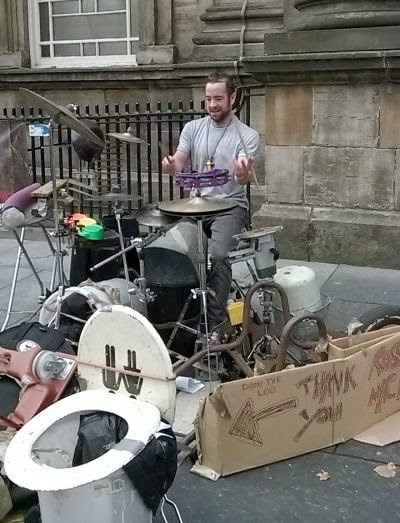 They were very good and worth some money. 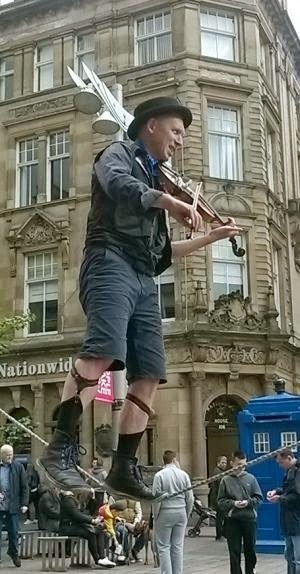 The man on the tightrope playing the fiddle is usually found in Edinburgh at the Festival. 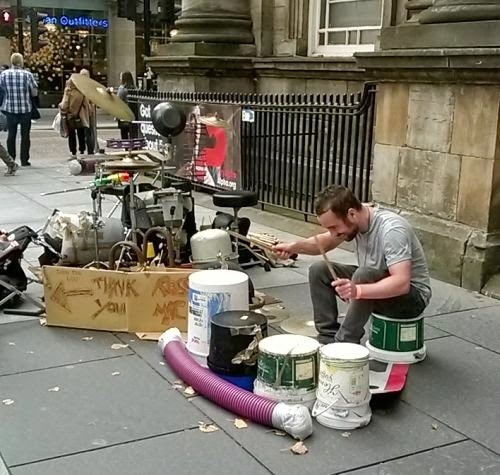 As it is drawing to a close soon, he was probably trying to get a new audience in Glasgow before going to another city. 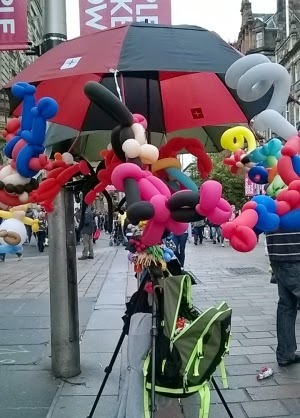 This man makes things from balloons such as cartoon characters and animals. 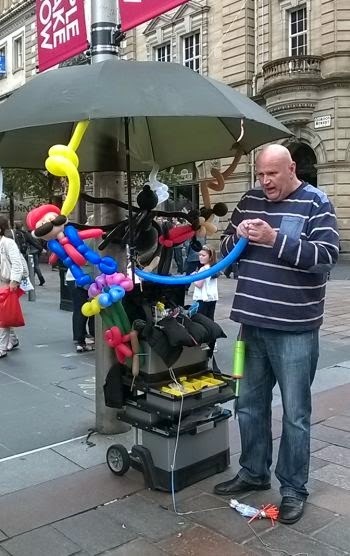 His balloon shapes are very good and he sells a lot of them. 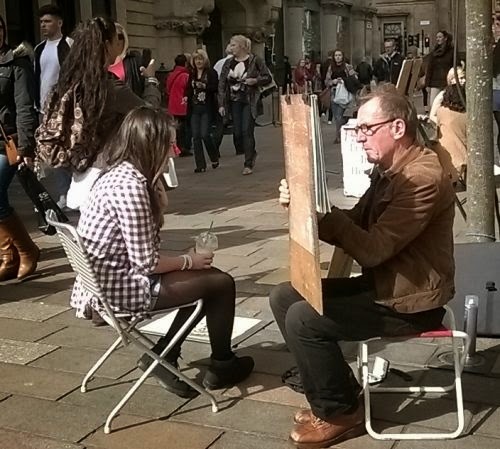 A street artist was drawing sketches of visitors to the city. 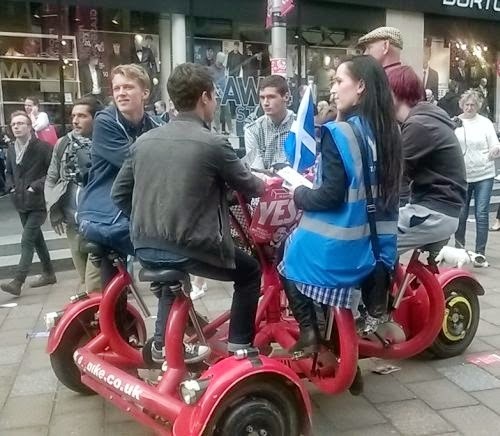 The 'Yes' campaigners for Scottish Independence were out in force and some of them came on this funny bicycle. The vote for Scottish Independence in on September 18th. 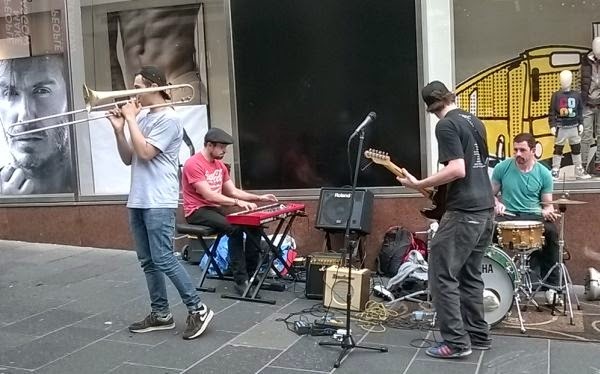 It was all happening on Buchanan Street.